Centra Wallet 2.0 includes a wide range of new supported features, helping make cryptos usable in the real world. Centa Tech has strategically positioned itself at the forefront of blockchain startups this year by developing one of the world’s first fully-functioning cryptocurrency debit cards. Now, the same team has rolled out an upgraded version of their digital assets wallet that will allow customers to store, withdraw, and transact eight major cryptocurrencies and exchange them in real-time. Centra Wallet 2.0 includes some major upgrades that will have crypto-enthusiasts excited about bringing their digital assets to the Centa Wallet. 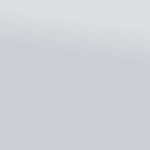 The Centra Wallet and Centra Card is part of the group’s broader mission of connecting cryptocurrencies to the real-world. By building both an easy-to-use digital assets wallet and widely-accepted cryptocurrency debit card, Centra has placed itself as the premier solution for overcoming one of the industry’s biggest obstacles: i.e. how to make cryptocurrencies usable in the real world. The timing couldn’t have been more opportune given the rapid ascension in crypto prices and their adoption across growing channels. 2017 has been a landmark year for the cryptocurrency market. Bitcoin surpassed multiple record highs to hit over $7,000 in value (from just $1,000 back in January 2017). The total market capitalization of cryptocurrencies now exceeds over $185B – that’s more than Goldman Sachs and Morgan Stanley. In addition to this, Bitcoin and other cryptocurrencies (altcoins) have caught the attention of investment banks and major companies alike, prompting some big players to enter the market. The explosive growth of both Bitcoin and altcoins has spiked public interest in cryptocurrencies like never before (stories about Bitcoin have now entered daily headlines). All of these factors indicate that the cryptocurrency behemoth is just on the cusp of entering the mainstream, if it hasn’t already. However, obstacles still remain. How can you use internet money — cryptocoins that are literally lines of code — and use them in real-life to purchase a product? This is where the team at Centra Tech comes in. Later this month, Centra Tech plans to ship the very first Centra Cards, which will work with the much-anticipated second generation version of their digital smart wallet: Centra Wallet 2.0. 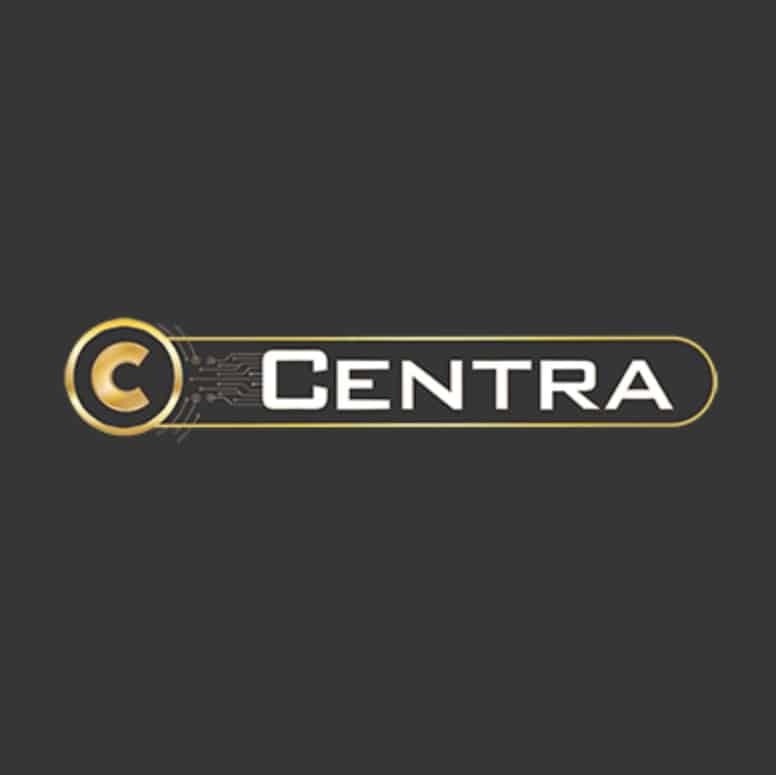 The Centra Wallet is an important element of its core offering because it is gives customers the ability to store their digital coins safely, and also control the functionality of their Centra Card, in addition to many other features. Released on November 1st, the improved Centra Wallet packs a more user-friendly interface as well as improved security features to protect against hacking and theft (Centra also insures your assets). Also, for the first time, Centra Wallet users will be able to instantly add up to 8 different cryptocurrencies at any time. Centra Wallet 2.0 currently supports 8 cryptocurrencies: Bitcoin, Ethereum, Litecoin, Dash, Monero, Zcash, Ripple, and Centra. 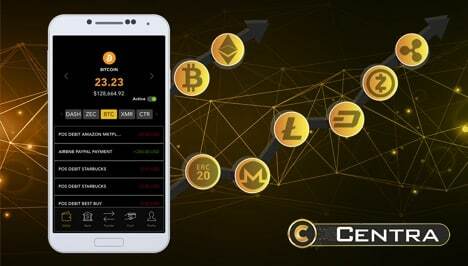 The Centra Wallet allows users to send and receive funds without transaction costs (no more predatory banking fees) and the Centra Card has real-time exchange technology to convert digital assets into major fiat currencies when used at a point-of-sale. 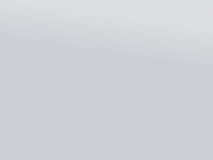 With both the Centa Card and Centra Wallet, you have a fully functioning digital assets bank account and the ability to spend your balance anywhere that accepts Mastercard (in addition to the growing amount of websites supporting Bitcoin as a form of payment) – except with this bank account, there are no hassles of having to deal with an actual bank. The Centa Wallet developer team also announced various updates to coming in the near future. These include: usable access codes for US customers, full NFC support (the ability to use Centra Pay at NFC supported points-of-sale), support for four additional cryptocurrencies, and the ability to buy and sell these cryptocurrencies instantly from within the Centra Wallet. If the Centra developer team does indeed deliver on these ambitions (as they have in the past), and the demand for cryptocurrency products and services continues to skyrocket, Centra Tech has the potential to become the go-to brand for cryptocurrency banking. The Centra Wallet is available on iOS and Android.